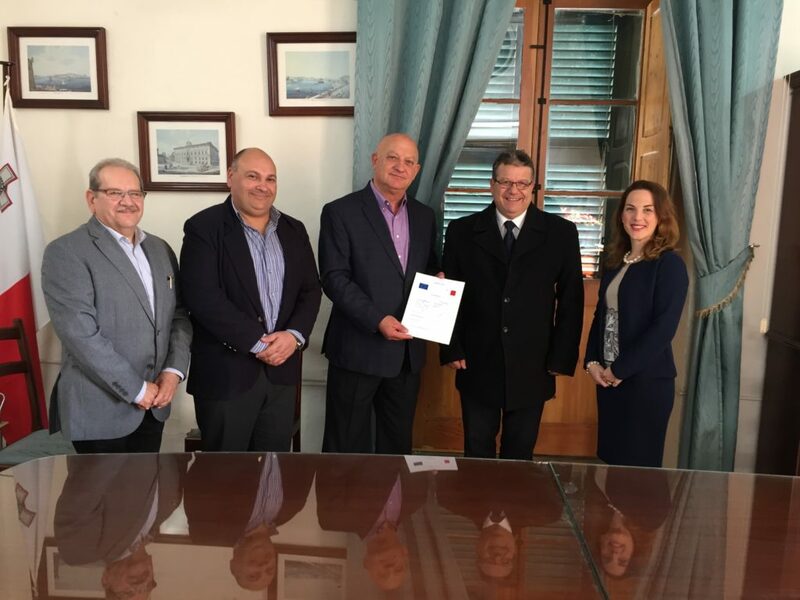 MMH Malta was awarded the Authorised Economic Operator (AEO) status by the Malta Customs Department. The AEO was introduced by the World Customs Organisation to enhance international supply chain security and facilitate trade of compliant economic operators. Mr. Paul Abela, Chairman of MMH Malta Limited comments, “The certification reflects MMH’s compliance to the strict customs’ criteria, demonstrated by quality, compliance and trustworthiness in the international supply chain.” Some of the criteria that are critical to this certification include: compliance to customs legislation and taxation rules, appropriate record-keeping, financial solvency, competence and appropriate security and safety standards. MMH Malta is now internationally recognised as a Customs secure and safe business partner and is entitled to benefits in customs related procedures as well as obligations and duties towards Customs. The AEO status is continuously monitored to ensure compliance at all times. MMH Malta specialise in services related to the marine, oil and gas and is responsible for the development and operation of the Mediterranean Maritime Hub. Paul Bonello – Advisor Customs Procedure and AEO Programme, Jason Azzopardi – MMH Chief Officer Facility Management, Paul Abela – Chairman MMH Malta Ltd., Joseph Chetcuti –Customs Director General, Angelique Maggi – MMH Deputy Chairperson.